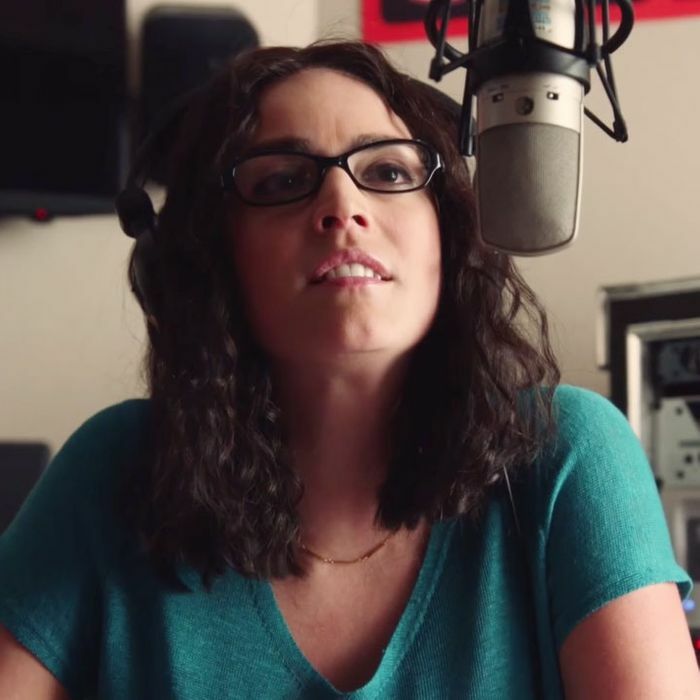 Cecily Strong does her best impression of podcast host Sarah Koenig on SNL. Podcasts just got a teensy more sophisticated as a digital medium. On Thursday, Apple finally rolled out its long-awaited Podcast Analytics feature, first announced back in June, which is meant to give podcast publishers more data about the behavior of their listeners. Publishers can now know just how many (anonymized) listeners stayed through a whole episode — and what proportion of their audience dropped off after a certain point. This new feature is also able to identify whether listeners skipped specific portions of an episode, so I guess Marc Maron can now know for sure just how many people scrub through his lengthy opening monologues. This development will have a big impact on the podcast business. Despite the steady growth of podcast listening and spike in media attention over the past few years, the industry itself has trafficked in a relatively miniscule volume of cash money compared to its digital-media peers. According to the Interactive Advertising Bureau, podcasts are projected to generate about $220 million worth of ad revenue this year, which is peanuts compared to projections for radio and digital video, which are about $14 billion and $11.7 billion in 2017, respectively. Much of this has to do with with the fact that podcast analytics (particularly those gleaned from Apple’s platform, which is still understood to drive the majority of all listening, and therefore governs the context of most advertising transactions) have been pretty crude and imprecise in the past. Think about the problem this way: If you’re a new online mattress company looking to buy ads on, say, Radiolab for the first time, you’d find podcasts to have more in common with a print ad in an issue of The New Yorker delivered to a physical mailbox than they do with, say, a Poppy music video viewed on YouTube. In the age of Facebook and Google, where the two platforms endeavor to hypertarget ads based on every single inch of a human soul, the crudeness of podcast advertising might come off as a comparatively unappealing option. Sure, some networks have traditionally sought to get around this by conducting associated performance studies, developing proprietary listening technology that ends up being used by a relatively small number of people, or kindling prestigious buzz around their shows, but the underlying lack of a podcast’s knowability is ultimately a sticking point for advertisers looking to get as much bang out of their buck as possible. Apple’s Podcast Analytics will be a considerable step toward greater knowability, and this will have material consequences for how the podcast industry currently does business. For example, one could assume that host-read ads closer to the beginning of an episode have a higher likelihood of being heard than one closer to the end. Now we can know the extent of that discrepancy with quantitative precision, which could possibly trigger renegotiations of the rates at which those ads are sold. Another example would be the fact that the extent of ad-skipping can now be identified (and disputed). These may seem like small things, but they’ll go far in proving that while everybody may well be podcasting, some people indeed may be podlistening, and that’s no small gain in further opening the door for more money to flow into this baby industry. Also worth monitoring is how this new knowledge will impact the actual content of podcasts. On the one hand, by knowing which segments listeners tend to skip or drop off entirely, creators are now armed with information that could help them improve their edits. On the other hand, knowing how many people drop off after the 30-minute mark might keep publishers from embracing long-form shows or getting creative with their episodes. As a result, we might end up with a podcast universe where we see tons of shows and publishers excessively angling themselves around some notion of an “optimal length” based on the feedback loop stemming from that drop-off data. Or worse: We see a flood of programming cynically and purely driven by the metrics.